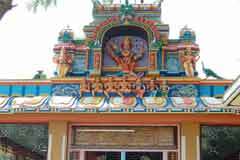 The temple celebrates Navarathri in September-October. 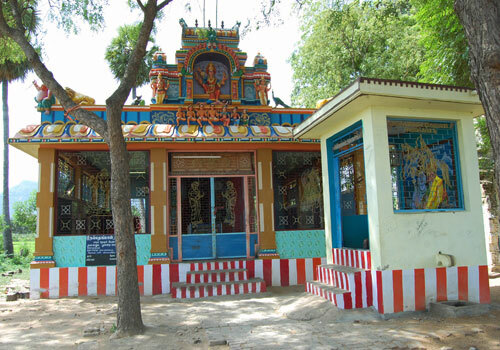 This is the only temple for Nallatangal in the state. The temple is open from 6.00 a.m. to 6.00 p.m. continuously. 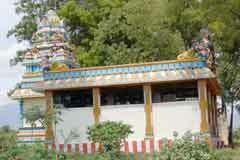 Sri Nallathangal Temple, Vatrayiruppu, Srivilliputhur, Virudhunagar. 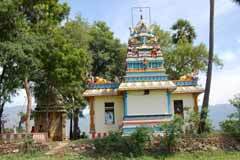 Vatrayiruppu is a place of perennial water sources and fertile green fields in Srivilliputhur Taluk in Virudhungar district. 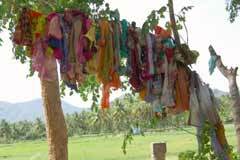 Seeking child boon and welfare of children, devotees place cradles made of lime before the Goddess and Children shrine in the temple. 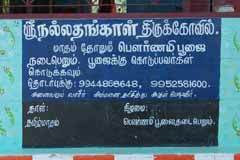 Realizing their wishes, devotees offer tonsuring and name the children Nallathangal and Nallthambi. The place is fertile with paddy fields, sugarcane and coconut cultivation and is praised as Kutti Malayalam. Arjuna River is the life line of the place. 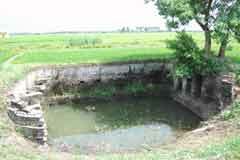 Nallathangal was a resident of Vattirayiruppu. Nallathambi was her elder brother hailing from an agricultural family noted for their high qualities. 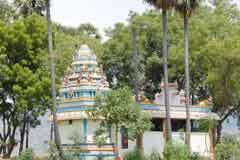 Nallathangal was married to one Kasirajan of Madurai. Nallthangal became mother of seven children. Madurai was then under severe famine. She had to come to Vatrayiruppu seeking the help of brother Nallathambi. He was not available in the house then. His wife ignored her and did not receive her. She only gave them an old earthern pot, wet woods and a cup unfit for use. However, she was able to light the oven with her power of chastity, cooked food and managed hunger. Yet, unable to manage the situation, she took the extreme decision and committed suicide by falling into a well with all her children. On his return, Nallathambi came to know the tragic events, killed his wife for her cruelty and stabbed himself fatally. Nallthangal was a devout woman. Lord and Mother appeared before the brother and sister and blessed them with life again. 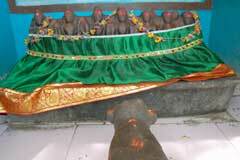 Nallathangal begged God to have them at Their feet and not return them to earth. The Lord said that the time will come soon and asked her to protect people till then. The temple was built for both sister and the brother. The children are also here in the form of idols.